Think what you will about Angelina Jolie – love her, hate her, still can't believe she boned Billy Bob Thornton – I think we can all agree that she’s sickeningly beautiful and born to play this role. 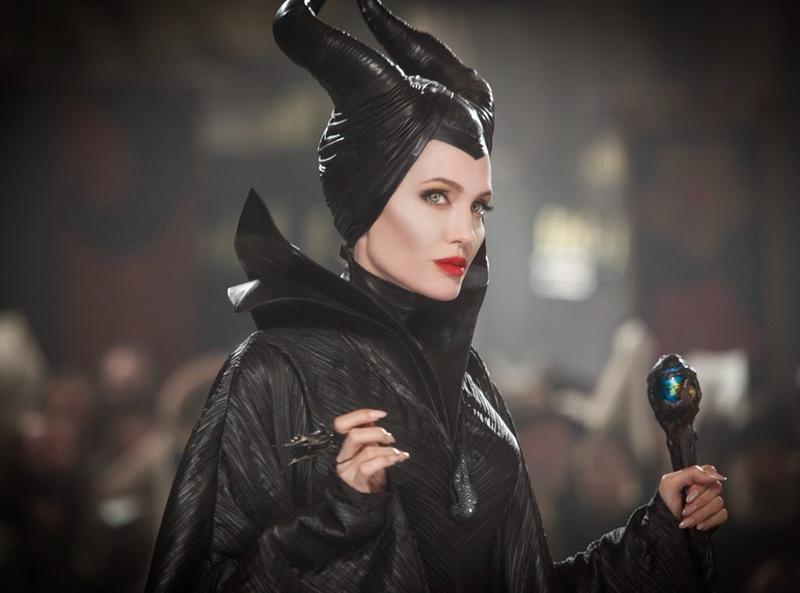 In “Maleficent,” she is utterly spell-binding. It’s nearly impossible to take your eyes off her - the cheekbones, porcelain skin and glowing eyes - she absolutely nails this character. This film is a very different interpretation of the classic “Sleeping Beauty,” and you actually cheer on Maleficent’s story of revenge. To my surprise, the film eliminates the “Prince Charming to the rescue!” idea that so many Disney films preach. We meet the actress who plays young Maleficent (what a compliment to her!) in the enchanting world of The Moors. This a fantasy world, full of mystical creatures, and Maleficent protects and soars over it all. I’m usually NOT OK with all things bird and wing-related, but in this case, her wings are beautiful symbols of power. You go girl! Maleficent’s heart is broken when the “love of her life” steals her wings. She curses his first-born, Aurora, and we find ourselves in the familiar “Sleeping Beauty” story line. This film portrays Maleficent as a victim. You really understand her unrelenting need for vengeance. Everyone but Angelina is miscast. Elle Fanning is too young and smiley – we don’t connect with her, though we aren’t necessarily supposed to. The King is too ugly for Angie, and the 3 fairies were hard to bond with, and no comedic relief. They even changed their classic names - Flora, Fauna and Merryweather - what gives?! The film is not as dark as the trailer predicts. It reminds me of Tim Burton’s “Alice in Wonderland.” It also gives a fresh perspective to the idea of “true love,” and whether or not it exists, and where you can find it. Drop everything and go see this, then tell me you’re not thinking about how Brad Pitt is the luckiest guy in the world.